At Betta’s Kingston store, our expert staff are always ready to assist you with selecting your next white goods or home appliance purchase. 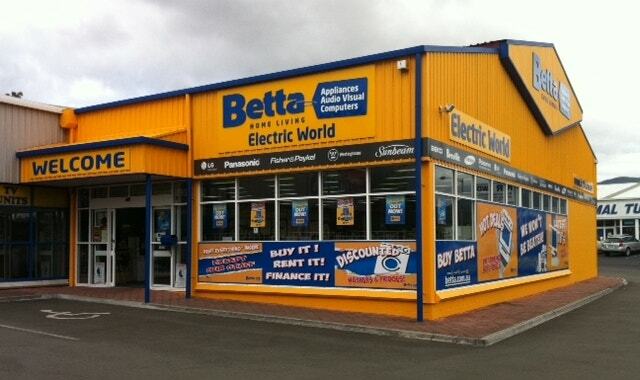 Electric World Betta Home Living has a wide selection of products from all the leading brands for you to choose from. Like fridges and freezers, kitchen and cooking appliances as well as washers and dryers – we have it all. A local since 1946, John Chivers established the Betta Rosny Park and Kingston stores in order to be able to offer competitive pricing and great service to the community. John’s favourite things about the community are the local sporting teams and schools, which he regularly supports through sponsorships and donations. An avid Richmond Tigers supporter, John enjoys a strong cup of coffee and recommends dining at Salamanca.